may give increase and may also give final perseverance. Following are excerpts taken from early documents that speak of St. Clare of Assisi. from the Acts of the Process of Canonization (1st and 2nd Witnesses). Saint Clare, while that holy woman was in the world…was considered by all who knew her to be a person of great honesty and of very good life; and she was intent upon and occupied with works of piety. (1st Witness) – The danger of indifference demands we do battle with triteness, shallowness, and dullness, and that we have to resist and begin to go in the other direction. Saint Clare began the Order that is now at San Damiano through the admonition of Saint Francis. She entered it as a virgin, and always remained such a virgin. (1st Witness) – Truly good people are always unconscious of their goodness. Lady Clare very much loved the poor, and all the citizens held her in great veneration because of her good manner of life. (1st Witness) – When we compare ourselves with other people, we seem good; when we compare ourselves with God, we are nothing. After Saint Clare had been in the Order, at the prayers and insistence of Saint Francis, who almost forced her, she accepted the direction and government of the sisters. (1st Witness) – Love quickly decays. Has our love grown cold? The blessed mother (Saint Clare) kept vigil so much of the night in prayer, and kept so many abstinences, that the sisters lamented and were alarmed. (1st Witness) – The closer we get to Christ, the less certain we are of any merit of our own. Lady Clare lay on the ground and had a rock from the river for her head…She was so very strict in her food that the sisters marveled at how her body survived. (1st Witness) – The older we get, the better we see ourselves. Blessed Clare fasted much of the time. Three days of the week, Monday, Wednesday, and Friday, she did not eat anything…Saint Francis together with the bishop of Assisi commanded her to eat on those days at least a half a roll of bread… (1st Witness) – The psychology of mediocrity seeks rather to ease the problem than cure it. When she came from prayer, she admonished and comforted her sisters always speaking the words of God Who was always in her mouth, so much so that she did not want to speak or hear of vanities. (1st Witness) – Life had to be forfeited for our sins, and no life is more precious than that of God who became man. His blood … paid the infinite price. When she (Saint Clare) commanded her sisters to do something, she did so with great fear and humility and more often than not she wished to do what she had commanded the others. (1st Witness) – Even if we claim not to believe, we still experience the moral effects of guilt. When she was sick that she could not get up from bed, she had herself raised to sit up and be supported with some cushions…She spun thread so that, from her work, she made corporals and altar linens for almost all the churches of the plains and hills of Assisi. (1st Witness) – The great sin of the human race is rebellion. We are rebels against God. The blessed mother was humble, kind, and loving to her sisters, and had compassion for the sick. (1st Witness) – We need to resolve to change, because when we fall into a pattern of ordinariness, we are loath to change. While she was healthy, she (Saint Clare) served them and washed their feet and gave them water with her own hands. Sometime she washed the mattresses of the sick. (1st Witness) – You will always know the dark days of the Church (and our own) when there is a walking away from the cross of Christ. She particularly loved poverty, but she could never be persuaded to desire anything for herself, or to receive any possession for herself or the monastery. (1st Witness) – There is no such thing as capturing the passing glory. You have to go down the hill and climb the hill of Calvary to come to perfect glory. Lady Clare was as careful about the regular observance of her Order and the government of the sisters as someone might be in safeguarding his temporal treasure. (1st Witness) – The modern world is very fond of denying responsibility; it began in Eden. The denial of responsibility stops at the cross of Christ. When five sisters were sick in the monastery, Saint Clare made the sign of the cross with her own hand over them and all of them were immediately cured. (1st Witness) – The Cross without Christ is tyranny; Christ without the Cross is a lie. 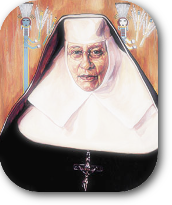 Lady Clare, former abbess of the monastery of San Damiano, had marvelous humility and so looked down on herself … that those tasks which she knew were more degrading she herself performed. (2nd Witness) – Like vines, we must be pruned by the gardener, that we might be more fruitful. She (St. Clare) was eighteen years old or so (when she entered religious life)…She was a virgin in spirit and in body and held in great veneration by all who knew her even before she entered religion…because of her great honesty, kindness, and humility. (2ndWitness) – Galatians 5&6 – After we have embraced discipline, then we will be prepared to change others. She was also so severe toward her body that she was content with only one tunic of ‘lazzo’ (i.e. home-spun cloth made of inferior wool and used by the country folk) and one mantle. (2nd Witness) – Softness of character comes about when we desire to accommodate ourselves to the world, shrinking away from sacrifice, self-denial. If she (St. Clare) ever saw that the tunic of another of the sisters was worse than what she was wearing, she took it from her for herself and gave the better one to that sisters. (2nd Witness) – The Lord heals, but not always. There will not be a complete healing until the whole cosmos is renewed. Clare at one time had a certain shirt made of boar’s hide. She wore it secretly under her woolen tunic with the skin and its bristles close to her skin. (2nd Witness) – Christ solved pain by making it a condition of life. He conquered pain by using it as a means of attaining glory. She used such rough haircloths and shirts for herself, but was very merciful to the sisters who could not endure such harshness, and willingly gave them consolation. (2nd Witness) – God chooses us not for what we are, but for what God knows we can become. Blessed Clare, before she was sick, practiced great abstinence: the greater Lent, of Saint Martin, she always fasted on bread and water, except on Sundays when she drank a little wine when there was some. (2nd Witness) – Love knows no limits. At about midnight she woke the sisters with certain signs in silence to praise God. She lit the lamps in the church and frequently rang the bells for Matins. Those sisters who did not rise at the sound of the bell she called with her signs. (2nd Witness) – Sometimes the only way the good Lord can get into some hearts is to break them. Her speech was always about the things of God. She did not wish to talk about worldly things or for the sisters to remember these things. (2ndWitness) – The crucifix is my autobiography. The blood is the ink. The nails the pen. The skin the parchment. On every line of that body I can trace my life. If it happened at times that some worldly person did something contrary to God, astonishingly she wept, reproached such a person, and exhorted that one anxiously to turn to penance. (2nd Witness) – Instead of a question of superiority or inferiority (in the Church and in fraternity) it is a question of the different roles we fulfill. Lady Clare frequently confessed, and, with great devotion and fear, frequently received the holy sacrament of the Body of our Lord Jesus Christ, trembling all over as she did so. (2nd Witness) – We are all thieves. We cheat God in our lives; we cheat Him in our worship; we cheat Him in our relationships with others. In us Jesus is reputed among the wicked. Concerning the corporals made from her spinning…she had paper boxes lined with silk made to hold them and had them blessed by the bishop. (2nd Witness) – Scripture never speaks of reconciliation except through the death of Christ. We are saved by the cross and resurrection. (One sister) had lost her voice so that she was barely able to speak even softly. She had a vision on the night of the Assumption of the Virgin Mary in which Lady Clare, while making the sign of the cross with her hand over her, cured her. It was done in such a way that on the same day she was cured since she did make the sign of the cross over her. (2nd Witness) – Peter and Judas both betrayed Jesus and both repented. One repented to the Lord and the other repented to himself. One lived in hope and the other died in despair. A certain brother of the Order of Friars Minor, Stephen, was mentally ill. Saint Francis sent him to the monastery of San Damiano, so Saint Clare would make the sign of the cross over him. After she had done this, the brother went to sleep…Upon waking, he ate a little and then departed cured. (2nd Witness) – In the Garden of Gethsemane, the Lord suffered not so much from pain, as from evil. When certain Saracens scaled the wall and climbed down into the part within the cloister of San Damiano, holy mother Saint Clare, then seriously ill, got up from her bed, called her sisters, comforting them not to be afraid. After she prayed, the Lord delivered the monastery and the sisters from the enemy. Those Saracens, who had already entered, departed. (2nd Witness) – The sufferings of our blessed Lord were finished in Him as the head of the church, but they are not finished in his body (the Church, us). Through the virtues and grace that God had placed in her, all who knew her considered her a saint. She especially had a great love of poverty. Neither Pope Gregory nor the Bishop of Ostia could make her consent to receive any possessions. (2nd Witness) – Nothing gives us so much understanding of the love of God, the sacrificial love, as God coming down to this world from heavenly headquarters and saying: ‘I will take the pain as my own’…This is the agape love of Christianity.